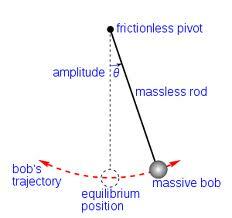 Swing is a matter of coordination – finding and sustaining equilibrium – a rhythmic flow. The recent G-20 meeting in Mexico was an example of the shifting global terrain. The ebbing of Western dominance must be balanced with nations not historically integrated into the global power structure. This year, BRIC nations asserted their voices globally by contributing 75% of the International Monetary Fund’s firewall. Similar articulations resonate in the healthcare sector where India, for example, has had a major impact on reducing the price of HIV/AIDS treatments and essentially eliminating its country’s polio epidemic. Getting the world to swing will require coordination across and through regions. As with a jazz ensemble, each section or region has its own sound, its own expertise. Mutual respect within sections and between them informs the performance of the chart. Divided into chairs or individual roles within the section, each musician – like each geographic region – has a role to play that can be noncompetitive within the section/region and certainly across instrumental divisions in the same way that Taiwan will differentiate itself (market segment, military, cultural offerings and consumer preferences, etc.) from South Korea and from Hong Kong. Likewise, a first-chair saxophonist cannot compete with a second chair; they play different parts. A saxophone and trombone are, of course functionally different and play in different keys though both are needed in an ensemble. When the virtuosity of one instrumentalist challenges that of another within his section; increasing the number of chair positions can accommodate the internal or sectional differentiation. The more chair positions (think globally here and think diversity) the greater the ability to capture nuances of sound, to recognize individuality. Geographically, when the virtuosity or expertise of one region is articulated, it differentiates itself from other regions. Superpowers no longer rule the world. Today’s construct is not a dialogue but a conversation disrupted by a multiplicity of voices. BRIC nations, African countries, and Latin American nations have integrated into and diversified the global dialogue, and have created a polyrhythmic global conversation that requires more nuanced hearing, different listening, and more complex and attuned responding. Nicholas Kristof’s NYT article on Africa and its promise is instructive. As he notes, the media typically covers the famine or genocide dichotomy all too familiar when reporting on African nations. This “black or white” divide is all too common in US political, legal and economic history. When these polarities guide discussions, they mask underlying potential of people and individual nations; turning a blind eye and a deaf ear to nations and entire continents where talent and vast resources are left unrealized. By seeing and hearing differently the US might – like the Asian countries Kristof mentions – build mutually beneficial relationships in Africa. Conversations enriched by multiple points of view can – like jazz – create the conditions for new ideas to emerge and innovations to occur. Each new bit of information integrated into a conversation, each new instrumental voice incorporated into a jazz score increases the differentiation. Each new disruption requires us to seek balance again by acknowledging and responding to the disruptive force. For example, the common 4/4 time signature is disrupted each time the blues weaves its way into the sonic efficiency. Improvisations also challenge equilibrium. Culturally this is the process by which we integrate diverse national, religious, gendered, etc., voices into conversations ranging from global governance and multinational management strategies to local politics and school board elections. Seeing and hearing differently increases our consciousness and can change our perspective. Take, for example, Scott Shane’s NYT article “as Islamists Gain Influence, Washington Reassesses Who Its Friends Are.” The author correctly assumes that Americans don’t see clearly or listen carefully. Why should anyone be surprised when a nation of Muslims elects an Islamist government? Yet, those accustomed to binary opposition are suspicious of the gray area regarding inquiries by the newly elected President into the release of an Egyptian sheik. On this point Representative Peter T. King, chairman of the Homeland Security Committee asserts, this is “the kind of talk you hear on the street – not from the president of the country.” Well, yes, Peter and that’s actually the point. Learning to listen to the crowds and not simply voices emanating from the elite sectors of government (or the C-Suites in business) gives us vital information that could be instructive. (Think Jamie Dimon). Middle East experts like Michele Dunne, however, are attuned to nuances. In her view it should not be assumed that the “rise in Islamists puts the United States in greater danger from terrorists.” In fact, she thinks the opposite may be true. “Major Egyptian terrorists” she notes, “were shaped by their rage against the [Hosni] Mubarak dictatorship” – a secular Western-leaning leader. “The movement of Islamists into mainstream politics should reduce the terrorism threat.” Thinking musically, this makes sense to me because when the voices of the people are integrated into the policies that govern their lives – the score – the policies are consistent with their views. When strategy reaches the frontline, productivity increases due to large-scale “buy-in.” The integration of voices into and across sectors disrupts the one-way flow of information. But there’s more – when multiple voices are integrated into the flow of information the dichotomy is disrupted and an enriched conversation occurs. What’s this mean for you? Get more art in your life. Art is disruptive; it forces us to emote, to demonstrate our humanity. Moreover, art gives us examples we can use to deepen our understanding of the world. Disrupting organizational structure is unsettling. Coordinating seemingly disparate voices is an anxiety-ridden endeavor and the outcomes are not assured (though Gilbert’s program was brilliant). Gilbert’s program was exceptional in the classical realm. Jazz at Lincoln Center’s largest venue, Frederick P. Rose Hall, features a stage where part of the audience sits behind the orchestra. You see, jazz is about mobility and integration and so in the concert hall designed specifically for its performance, audience engagement was a key factor. In Gilbert’s program and in the Ode to Joy Flash Mob, classical music is seen doing what art always does – disrupting our sensibilities. Jazz does this all the time but classical? Indeed, the tectonic plates are shifting. Let’s find our footing and swing.